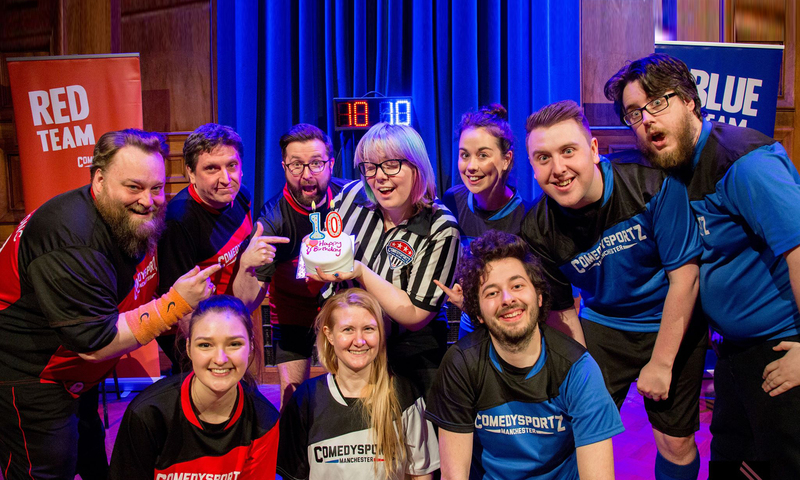 With our current batch of workshops and courses well under way, we’re delighted to announce that our next 8 week Foundation in Improv, Intermediate Improv and Beginning Stand Up Comedy courses will commence 16th February 2019. Bookings are now being taken via our workshops page. You can secure your space by paying a £30 non-refundable deposit or making the full payment now. We’ll also be running another two-day sketch writing course in early 2019 with dates to be announce soon. Drop us an email to register interest and we’ll be in touch as soon as we have dates in place. GIVE THE GIFT OF COMEDY THIS CHRISTMAS! Do you know someone who might benefit from a little laughter? Someone who needs a little confidence or has a funny side waiting to be unleashed? Our workshops make for a popular gift especially as we approach Christmas and the New Year. If you’re making a booking behalf of someone else, please make the payment in full and then drop us an email with their name and contact details so our registers are accurate. We’ll provide you with a gift certificate and brief information pack for you to give them. We’ll also arrange with you when you’d like us to get in contact with them to make sure we don’t spoil the surprise! Workshops are fun, friendly and affordable. Maybe you’ll end up booking a space for yourself as well! If you’ve got any questions about our courses and workshops for yourself or as a gift for others, don’t hesitate to get in touch.